The Jewelry Department at ACC is one of the only jewelry degree programs in the country to provide each student with a set of tools to use in the classroom. 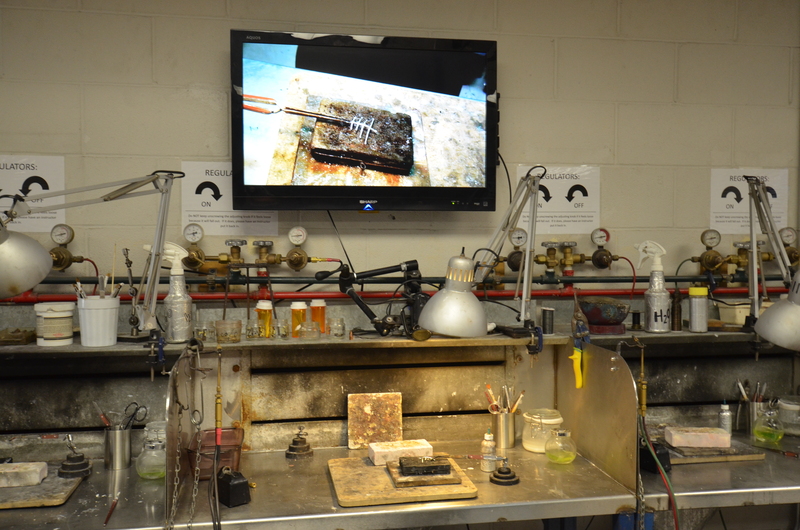 We have eight fully stocked jewelry benches as well as five soldering benches. 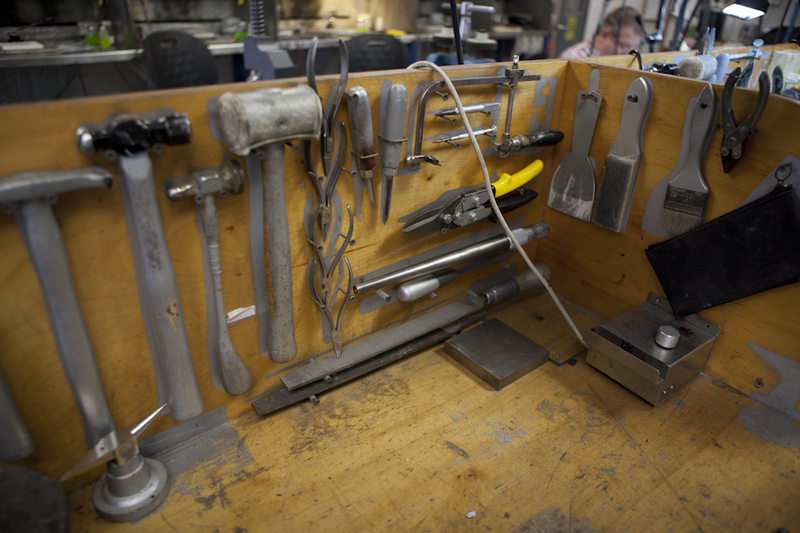 Each student has a jewelry bench with its own set of tools to themselves for the duration of class. This is a great advantage to beginning students, as it allows them get to know the necessary tools before purchasing and saves them about $1,400 in upfront costs for a basic tool kit. This also allows them access to all of the tools they need for class projects while they build up their personal tool collection over the course of the degree. In the center of the classroom is a work table with heavier equipment, such as a rolling mill, dapping block, and a full sized anvil. These are more expensive tools and equipment that the student will need to purchase if they plan on having their own studio space. Beyond that, we strive to provide a wide variety of specialty tools so students can gain hands-on experience, and make well informed decisions about which tools will be most important to purchase when outfitting their own studio. 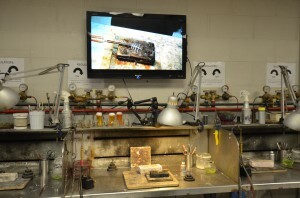 The purpose of our classroom is to provide the students with an educating environment in which they will learn the skills needed to work in the jewelry industry, and to give them options for the tools and equipment they will either use daily in a jewelry establishment or end up purchasing in order to start their own business.